For cruising mountains and aprs-ski. 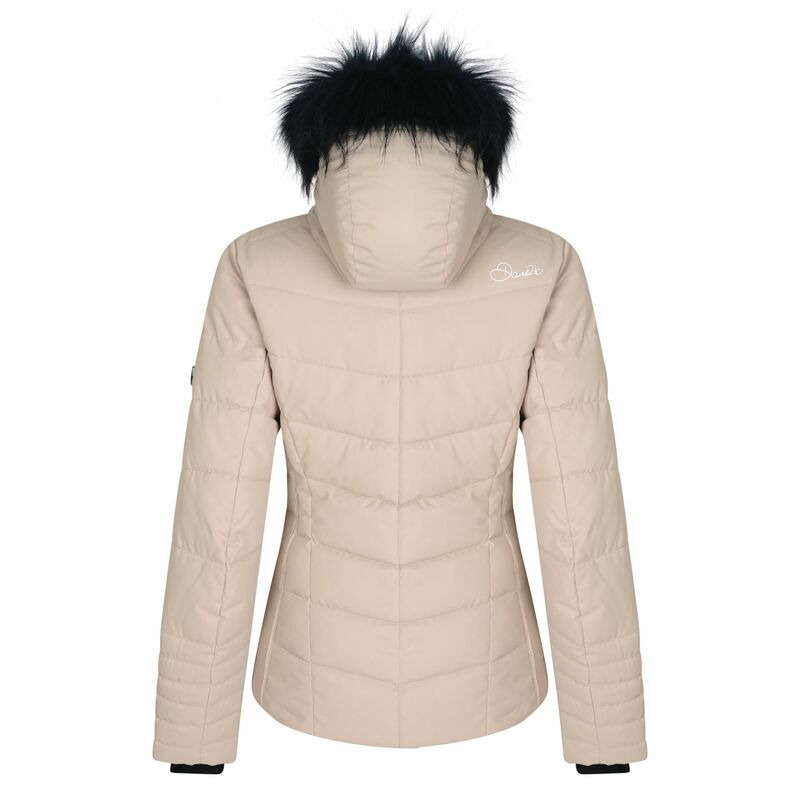 Luxe quilted ski jacket with ARED 5 000 fabric performance. Made from waterproof/breathable polyester twill fabric that's so, so soft. High warmth, low-bulk bulk insulation. Stretch side panels with ruching that let you move and turn. 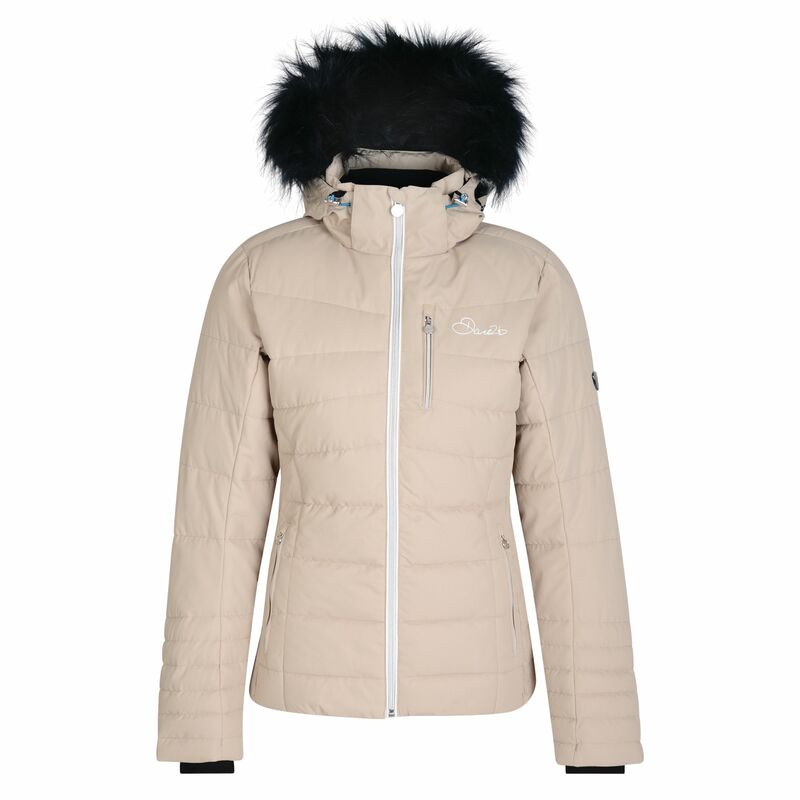 Snug hood trimmed with fine quality faux-fur (detachable). Powder blocking snowskirt (detachable). Cosy inner stretch cuffs. Multiple pockets and a headphone port to stay on beat. Flattering cut lines.